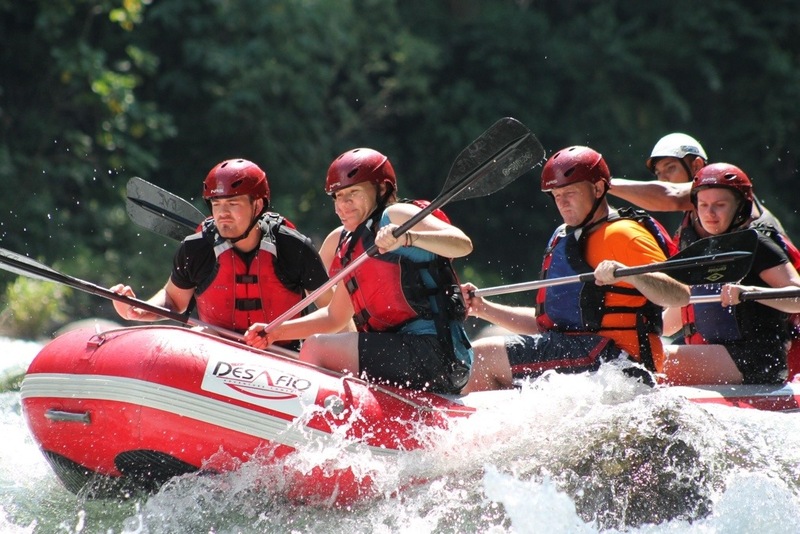 Highlights: White water rafting, Group farewell. The last full day of this leg of the tour turned out to be full of adventure, bumps and bruises! Instead of just catching a bus to San Jose nine of us decided to do white water rafting and then move onto our final city of this tour. The grading of the run today was 4 which is high but something I had done before. What made today different is our guide wanting us to fall in and get super wet as often as possible. At one point he flooded the entire raft and another time pushed Anna in! My raft had Anna, Daniel, Brigid and Rita. During the day I actually fell into at a rough spot and as I hit a few rocks on my way back to the raft bruises are guaranteed for tomorrow. The one moment that was a little scary as when the guide deliberately flipped the raft (he warned us btw). When I come up for air I was under the raft and could find any water. It took three attempts to get clear and it felt dangerous at the time. However when I went out I had flipped onto Anna who got stuck under the raft for a considerable time. Luckily she found and air pocket and being such a together person took it in her stride. When the guide realised he haven’t see Anna for some time this was the only time he panicked. Still 10 seconds after we got back into the raft it was mostly laughs. The rafting activity goes for a few hours and they break about half way down the river. This age ou arms a break and allowed for some pineapple and watermelon. Most of the group of about 20 people than crossed the bank and jumped from about 8 metres into the rapids. After finishing they gave us a towel to quickly try and get a little dry for the van ride to lunch. At the lunch stop we all got changed into something drier and at lunch recalled the days adventure which was a highlight for everyone. Arriving in San Jose we went about sharing the CDs we purchased for today and the Zip-lining a few days back. The group members who didn’t do today’s activity took a public bus to San Jose and only got back an hour before our farewell dinner. It was very sad to say good ye to so many people. Eleven people are leaving and only James, Robin, Laura and myself are continuing onwards. Tomorrow we meet our seven new tour members and new guide.